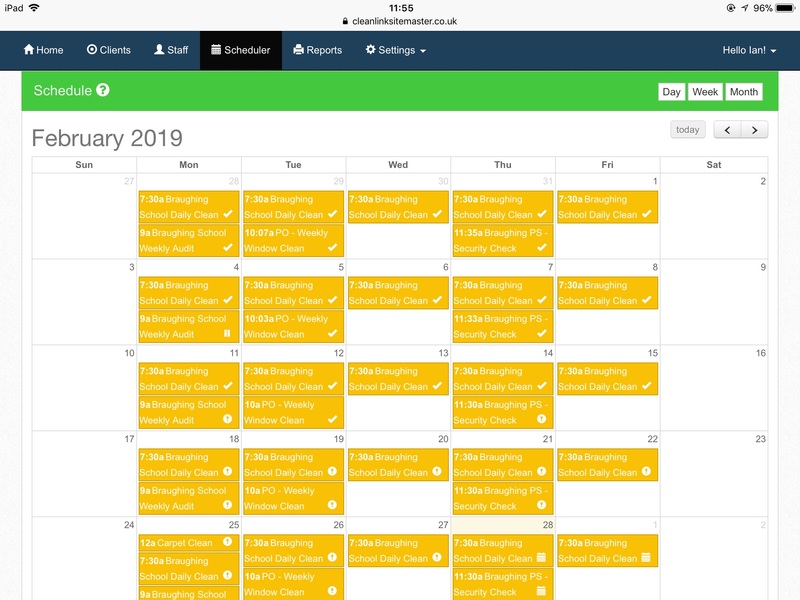 New from CleanLink, our fully hosted web application let's you manage your business critical work using any PC, laptop, tablet or smartphone from anywhere - either using an internet connection, or with our new Site Master Mobile App. 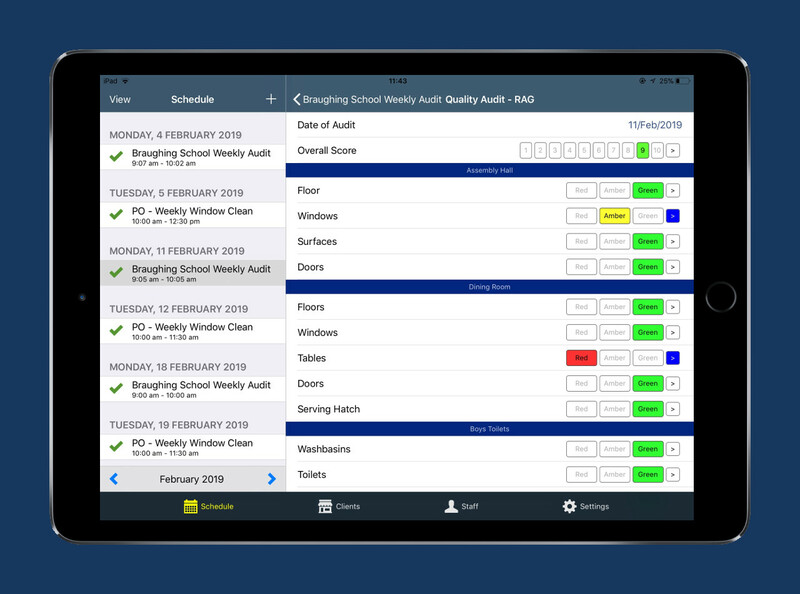 We've slimmed down Site Manager to give you the core functionality needed to take on new work and to schedule this along with your existing jobs and to carry out site audits - all whilst you are on the move. 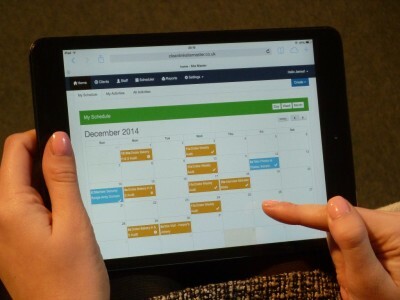 There's no need for any server or PC - just sign up online from your laptop, tablet or Smartphone and get started! 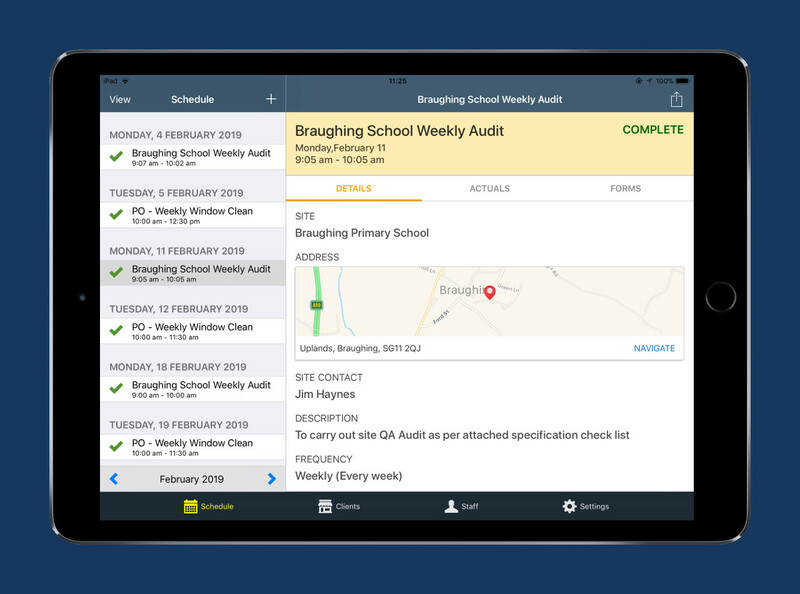 Building on the success of our CleanLink Mobile apps, we have incorporated powerful form building functionality that let's you design and create your own forms to carry out mobile site audits and capture data whilst on site and to share the results with your clients and staff. Share new jobs and job updates with your colleagues in real-time while they're on the go. 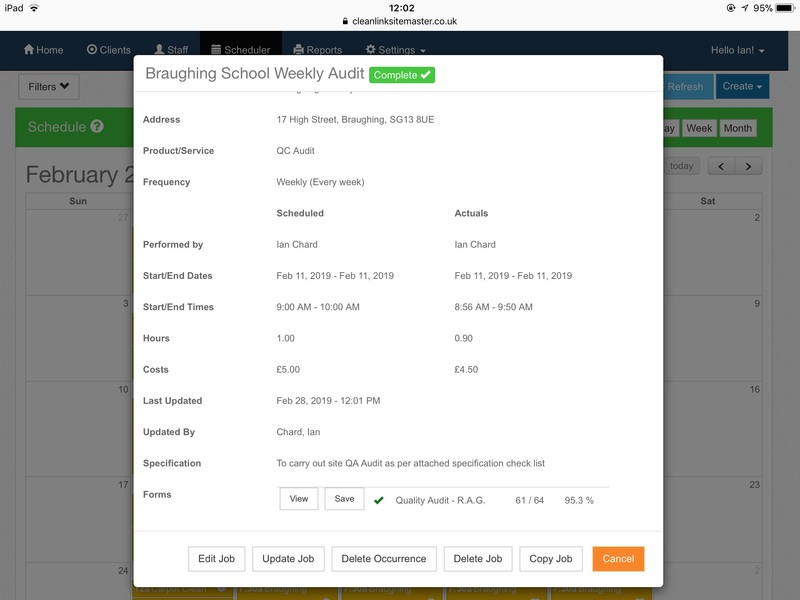 Powerful Form building functionality to facilitate Site Auditing, etc. 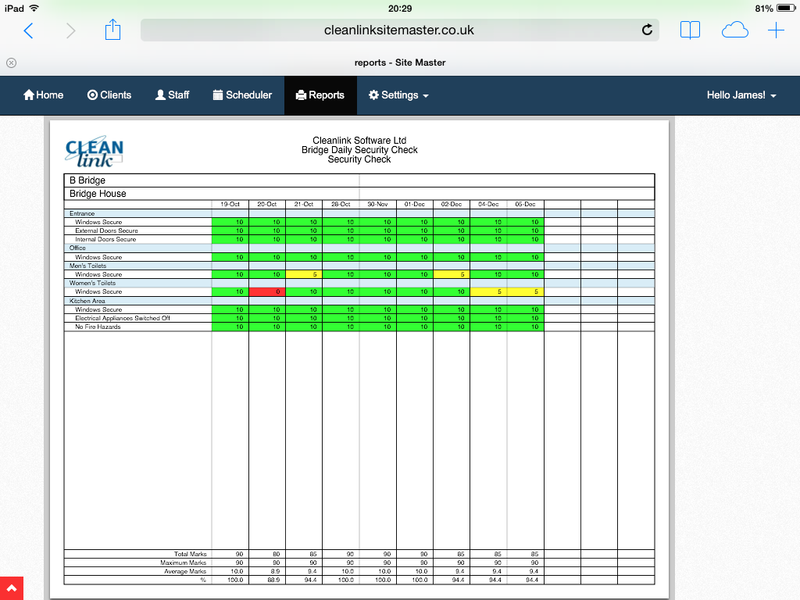 Why not try the Site Master Mobile App? From either the iTunes App Store, or the Google Play Store, download the 'CL Site Master' Mobile App on to your Device. This is a demonstration version, which gives you a full working model with Sites, Staff and Jobs.